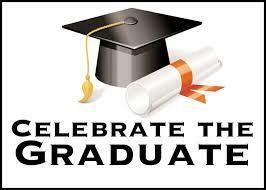 High School & College Graduations can become so much easier when you host a outdoor party! 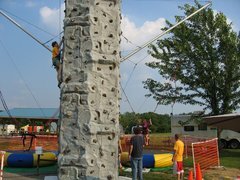 To have a successful graduation party attracting young adults you need to have an exciting collection of entertainment available. 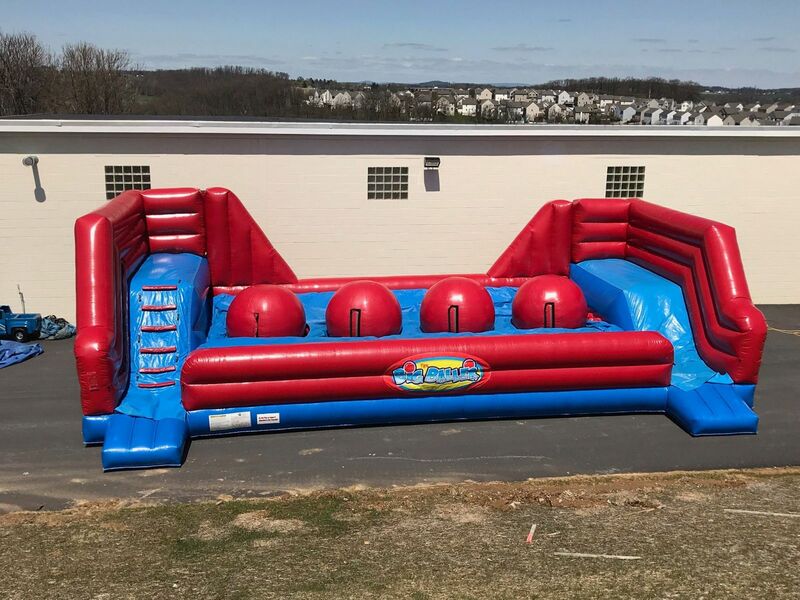 3 Monkeys has a wide collection of Inflatable & Carnival Games, including Bounce Houses, to extreme inflatables and dunk tanks that will add to that perfect competitive fun! For Entertaining with Food nothing is easier and more convenient than Carnival Treats! We offer hot dog rollers, popcorn, snow cones, cotton candy & pucker powder machines. It doesn't get easier than that to host a graduation party. Think of splitting costs amongst fellow graduates and adding more entertainment options in one place. It will definitely come out a lot cheaper then grad-night tickets and a whole lot more fun! 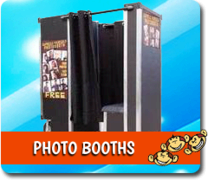 Create amazing memories with a Photo booth Rental. Each Photo Booth Rental comes with a custom background in school/favorite colors customized to your special day...We also provide an Attendant for your event along with a prop table to make a fun/exciting photo booth experience...lastly the night ends with you getting a CD of all of your guest pictures! Amazing memories are created with our photo booth! Best of all- Unlimited prints! 3 Trikes race against each other to see who will be the victor! Our trikes come along with orange cones to make a course to whatever size fits your area. We also bring along helmets that we have participants wear as your safety is our priority. College kids love to play twister with their friends...it's one of those games that will never go away! 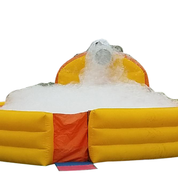 Our oversized Twister is an inflatable that allows for comfortable gaming with friends! So much fun! 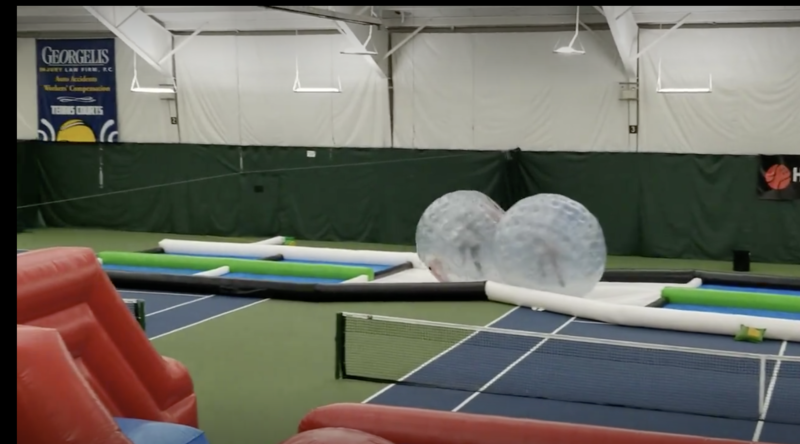 Imagine racing against your friends in a giant hamster ball...now it's a reality! These zorbs are so much fun to race with and very comfortable to do so! Our Zorb track is a straigh track that has a middle section where you need to be the first one there to get through! 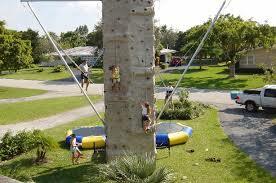 Extreme 4 person Rock Wall with 2 person Euro Bungy. If you want the biggest party for your grad to celebrate like few others...you will knock it out of the park with this 4 hour rental!!! Fun- wet - exciting - epic! Join the foam craze and get your groove on with friends! Fun for all ages...great grad party idea! 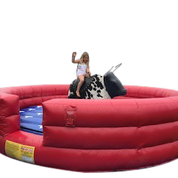 Ride the bull and see how long you can stay on! Compete with your friends on who can stay on the longest! Think of the wipeout show and it is just like the bloopers you see of those trying to get across the course! How much fun if you have a dark room or area where you can have a black light mini golf game with 9 hole mini golf! 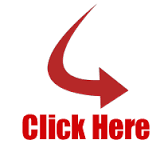 RENT 2 Items above and get 15% off your inflatable ride rental purchase!